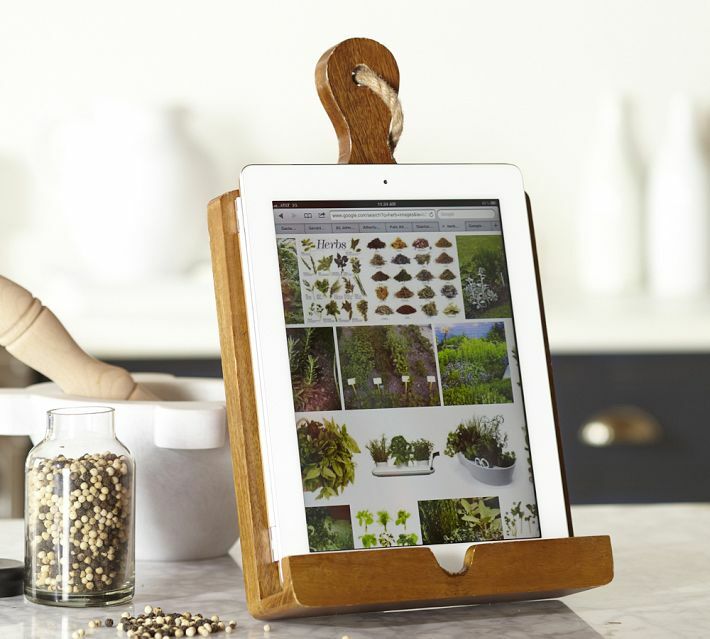 At Pottery Barn it's called a Cuisine Tablet Recipe Holder, is priced at $34.95 and "resembles" a vintage breadboard. If that's not an invitation for a knock-off, I don't know what is! Susan saw this one over at Mamie Jane's and was inspired to make one of her own. Susan already had all the pieces on hand - a bread board (truly vintage), a Scrabble tile holder and a child's building block. No fancy tools, no cutting, no measuring - just a little glue and paint! Seriously, this just might be the easiest Pottery Barn knock-off ever! I don't even own a tablet and I want one! I see all kinds of display possibilities here. Thanks Pottery Barn! It's been dark and dreary here all week long. But just as soon as the sun pops out, I'll be heading to Main street to take preview photos of our upcoming tag sale! All the details are on the sidebar. Hope you can join us! I wonder if Pottery Barn minds all the knock offs that creative bloggers come up with, or if they design some of their things with y'all in mind ... giving them more publicity, lol. Such a great idea! I've been thinking of making one...I like how Susan used a Scrabble tile holder. Genius! These are really so very neat!! i have a couple of these at the barn that i painted to be chalkboards, but i saw these in PB, too and love this idea! susan did a great job! I love her knock-off! I have the blocks, the scrabble holder, and the breadboard...just need the iPad, and I'll be set! I just love Pottery Barn knock-offs! I wish I had a clever mind like Susan who "saw" a scrabble tile holder and child's block in this. What an imagination! wow! bread board. scrabble tile holder and a block. so simple! party at my place if you feel like sharing this. it's awesome! Oooh, this is awesome. Id on't have a tablet either, but if I did, I would NEED this! I love this. 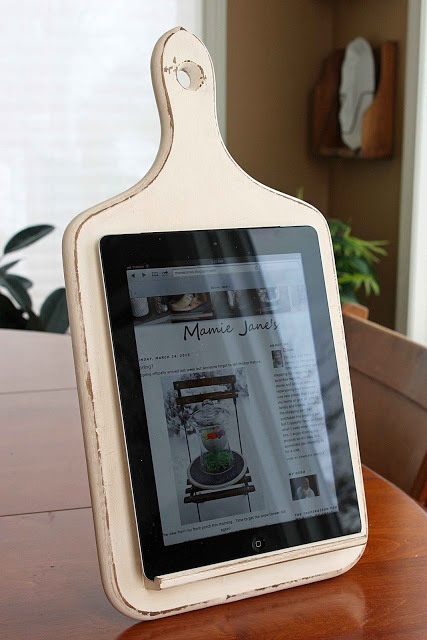 I am on the look out for a vintage cutting board! This is perfect! I like Susan's even better than the Pottery Barn one. I'm definitely going to be looking for a breadboard on my next thrifting excursion! I love that cute idea and I'm keeping it my mind for later! What great idea and really cute!